Want it by Wednesday 24th April? Order within 3 days, 20 hours, 26 minutes and choose Next Working Day - Kerbside Delivery (Order Must be Placed by 2pm) at checkout. Our Hillwood Collection Brushed and Lacquered Oak Floor is a great choice for any home - with 125mm wide boards the appearance of the room size will not be affected! This means that whether you're installing it in an open plan space, or a cosy box room, it will fit in beautifully. Engineered wood flooring grants greater stability to moisture and heat than solid wood flooring due to the multiple-ply core. As a result, engineered flooring can be installed in all areas of the house and over underfloor heating. Being a natural product each board is unique in colour, mineral grain, degree of knots and sapwood. 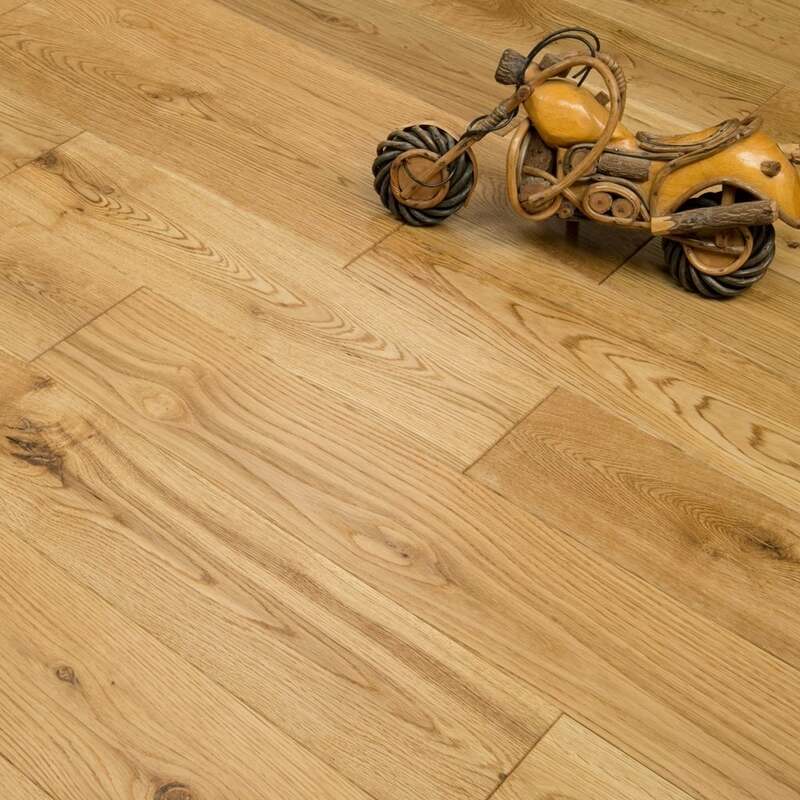 All of these natural features enhance the overall characteristics of such a beautiful oak floor. Each product in the Hillwood Collection has been classified as rustic grade. The floor is then finished with a protective UV lacquer resulting in a smooth finish. This finish will help protect the floor and it will also help with cleaning, as the majority of materials you could spill on this floor will not be able to seep into the wood itself, just make sure not to let any stains lie. Order your sample today and see this floor for yourself! The brushed finish means that if you do get any scratches through wear and tear they just look like they should be there!